With winter almost behind us, and summer nearby, cleansing our system and eating in an healthy way can prepare us to approach the new upcoming season with more energy. 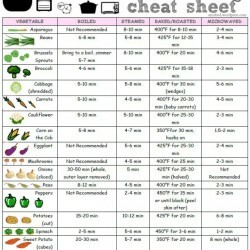 This simple yet effective cheatsheet on how to cook vegetables can help you add more green (and red, yellow, purple…) to your diet. 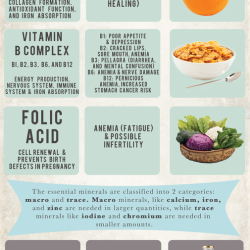 Where to get all the minerals and vitamins we need daily? Here is an effective infographic with all you need to know to get al your supplements: forget the pills, eat the real stuff! What a better way to cleans your system then a smoothy, made with super fresh ingredients, all raw? 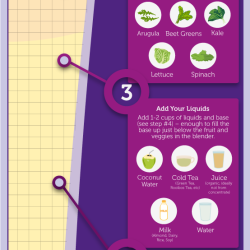 Give it a try with the endless possibilities you’ll find in this infographic. And if you crave for more foodie infographic don’t miss out my friend Cimny’s board on Pinterest!